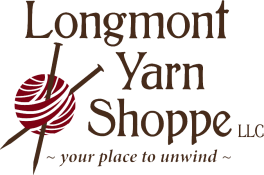 Details: Longmont Yarn Shoppe is open on Sundays! We welcome you to the shoppe for an afternoon of handwork, show and tell, sharing and fun on Sundays from 2 - 4 pm. Bring your knitting, crochet, spinning wheel/drop spindle....even your needle felting...whatever makes you HAPPY! Open to everyone. No charge.